Leading communications efforts for Exxon Mobil has never been the easiest job in the PR business—from the Exxon Valdez disaster to its role in global warming denial, the company’s recent history has been controversial to say the least, though it may have gotten a little easier now that former CEO Rex Tillerson is secretary of state. And having spent nearly two decades—she joined in 1998—with the company, Suzanne McCarron could not have been better-prepared for the challenge. McCarron is responsible for the company's public and government affairs activities for all of operations in the upstream, downstream and chemical sectors worldwide: government relations, global corporate positioning, NGO outreach, external and internal communications strategy development, and media relations. 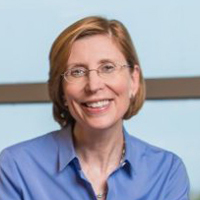 In her capacity as president of the ExxonMobil Foundation, meanwhile, McCarron has responsibility for the philanthropic arm of the company, which provides funding to improve basic education, promote women as catalysts for economic development, and combat malaria and other infectious diseases in developing countries. She is also a member of The ExxonMobil Foundation Board of Trustees and Chair of ExxonMobil's women's economic opportunity initiative.